In Educating Rita, Rita, a brash, young hairdresser with a free spirit, is hungry to improve her lot in life. When she enrolls at the local university, she discovers a passion for literature and turns her boozy and burnt-out professor's life upside down in this award-winning comedy. Get a sneak peak at Willy Russell's Educating Rita at the Huntington with three short scenes from the play. Featuring Jane Pfitsch as Rita and Andrew Long as Frank, and directed by Maria Aitken. Come behind the scenes of Willy Russell's Educating Rita at the Huntington with director Maria Aitken (Alfred Hitchcock's The 39 Steps) and cast members Andrew Long and Jane Pfitsch. Jane Pfitsch ("Rita") extends a personal invitation to all of the educators and teachers in the New England area to attend Educating Rita at the Huntington. Costume Designer Nancy Brennan, with the help of Costume Design Assistant Mary Lauve, presents her designs to the cast and production team of Educating Rita. Hear opening remarks from Artistic Director Peter DuBois and production director Maria Aitken at the first rehearsal for Educating Rita, the Meet & Greet. Playwright Willy Russell grew up in the most influential culture of the 20th century just as it was about to explode: working class Liverpool. Tony Award-nominated British director Maria Aitken returns to the Huntington to direct Educating Rita. In Willy Russell’s contemporary classic Educating Rita, a hairdresser with a thirst for knowledge enrolls in a course at a university in northern England. When they first meet, Frank, Rita’s burnt-out, alcoholic professor, quickly understands that she is no ordinary student. From BU Today, March 17, 2011: "Creating a successful costume is no small feat, and it's the daily mission of the Huntington's costume director Nancy Brennan . . . "
From The Boston Globe, March 6, 2011: "Aitken, 65, was last at the Huntington in 2007, directing her London hit The 39 Steps, on its way to a two-year Broadway run. In that fast-paced comedy, four actors played more than 150 roles. This time, two actors play two roles in a single setting, the professor's office, and the laugh lines have a more serious context: a young woman's yearning for knowledge and her determination to put off childbearing, despite her husband's wishes. . . . "
Jane Pfitsch previously appeared in Tartuffe (2017) and Educating Rita (2011) at the Huntington for which she received an IRNE Award nomination for Best Actress. 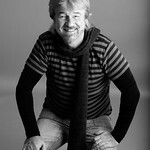 Willy Russell's (playwright) Educating Rita (2011) has been produced at the Huntington. Mr.Russell was born in Whiston, near Liverpool and left school at fifteen. 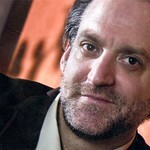 He began writing as a songwriter and transitioned to playwriting in the late '60s.